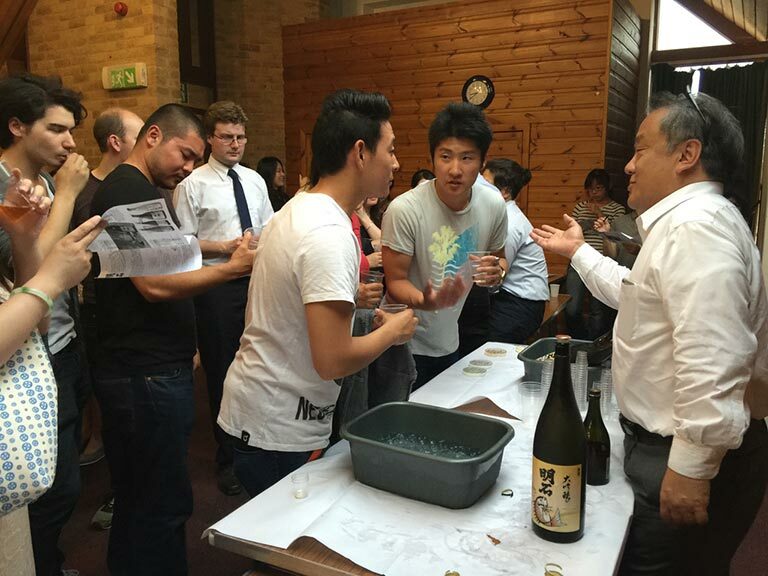 On the 17th June, a team of Oxford University Japan Society (OUJS) and Sake Samurai UK were proud to host a sake tasting evening in partnership with a renowned sake maker, Mr Yonezawa from Akashitai. 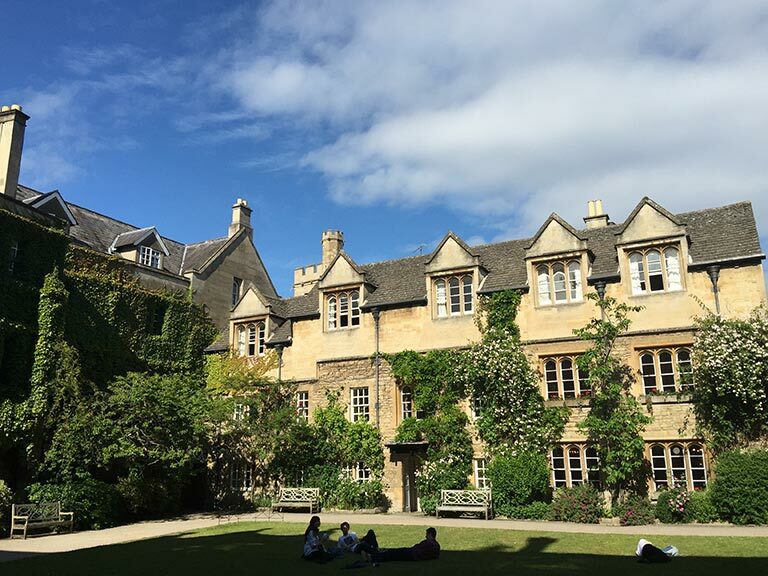 The event was held in the Baring Room of Hertford College, one of the main old colleges in central Oxford, and was attended by sixty enthusiastic guests. 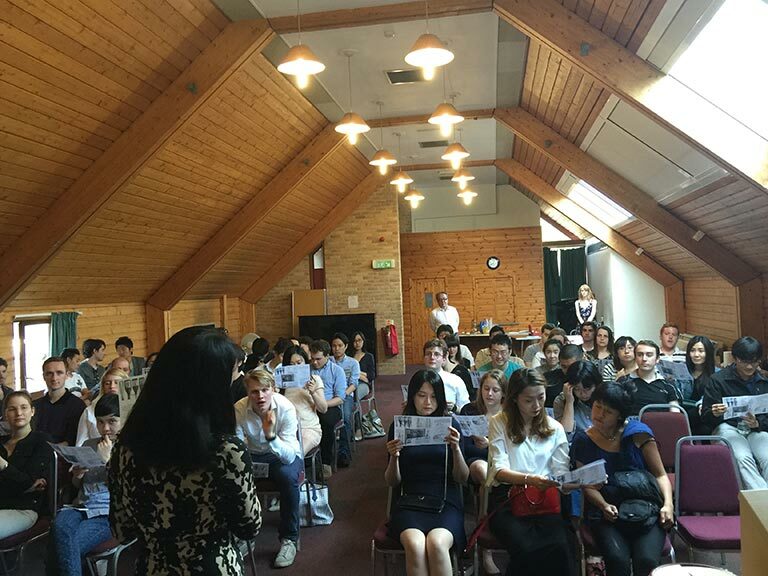 At the start of the evening, each guest was given a leaflet detailing the sake making process. 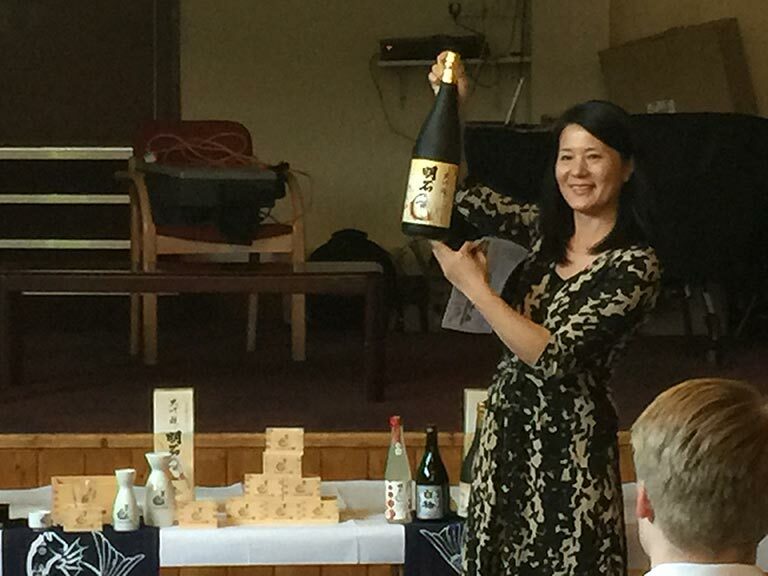 After a brief introduction by myself, Rie Yoshitake, the UK Sake Samurai representative gave a talk on sake’s place in the world today; its popularity in Japan, according to her, is actually on the decrease, and so this is why it is so important to give people outside of Japan the opportunity to get a taste of the world of Japanese rice wine. Following Rie’s talk, Mr Kimio Yonezawa of Akashitai brewery spoke to us about the philosophy of Akashitai, which is produced in Nada in Hyogo, the most famous sake region in Japan. 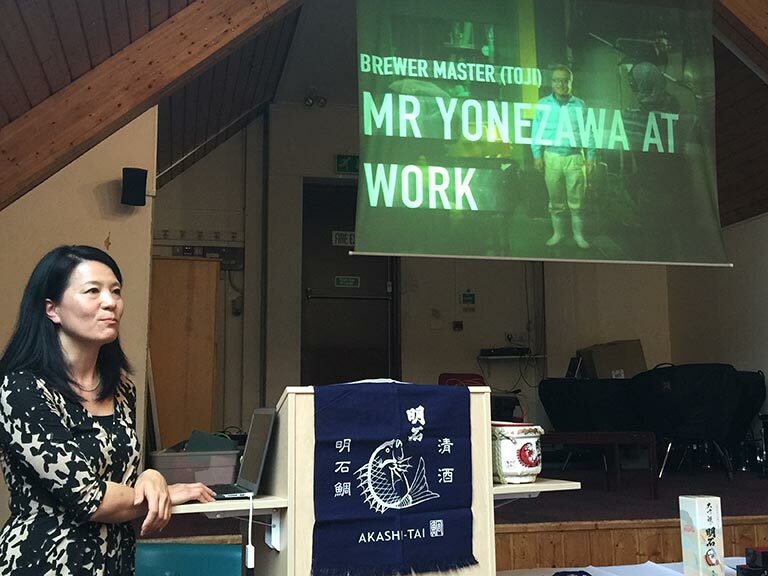 Miho Komatsu-Welpe, the UK representative of the same brewery then took to the stage to give a very insightful presentation on the sake making process. Once all the talks were done, each guest was given a cup to then fill with the wide variety of sake we had on offer. Guests were advised to start with the chilled sparkling Akashitai wine and plum wine (umeshu), and then to move on to richer sake, Junmai and Junmai daiginjo, then to finish with the aged sake. What followed was a frenzy of sake-lovers all eagerly sampling as many different types of sake that they could. Despite the generous amount of sake we had on offer, the evening remained mostly very civilised, and we even managed to coordinate a big group photo at the end! 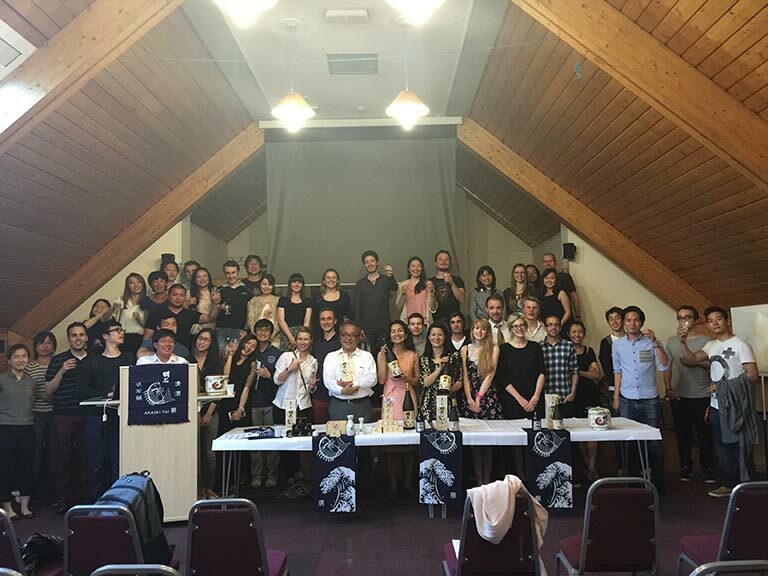 This sake tasting evening was the last Oxford University Japan Society event of the year, and so we were very glad to finish on such a successful, interesting, and well-attended event. I would like to thank both Sake Samurai and Akashitai for giving us this opportunity, and I very much hope that their relationship with OUJS will continue on into future years.